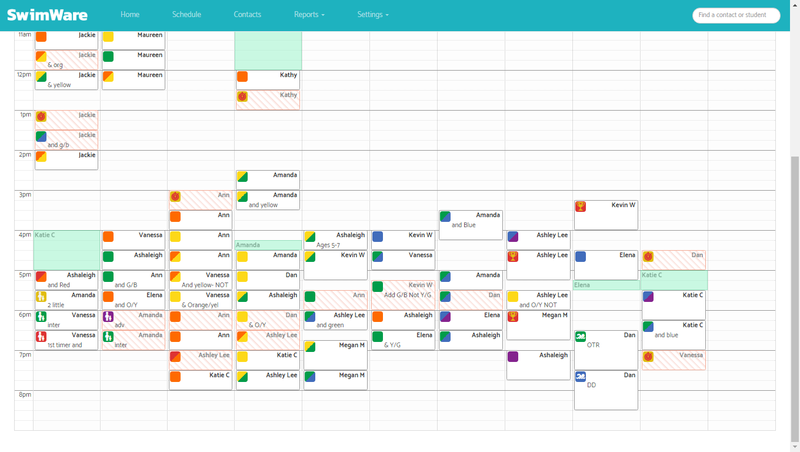 Most User Friendly Scheduling Software Available! SwimWare was constructed by the owner of a large swim school based on 40 years of experience teaching children. 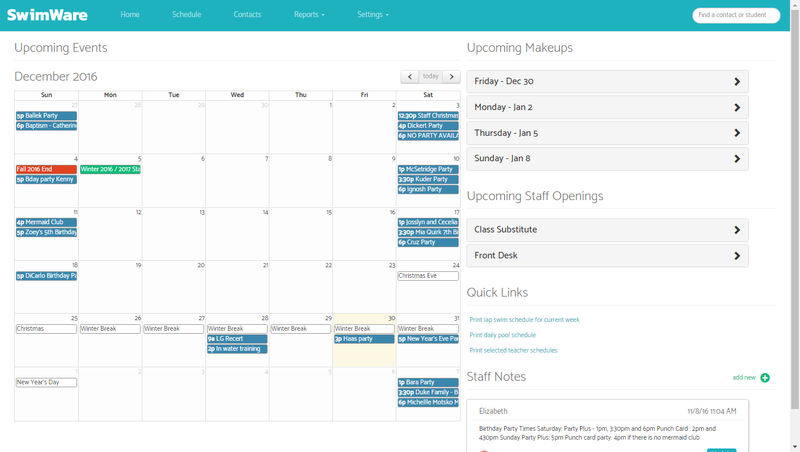 It is a complete rebuild of previous custom software to now include everybody’s full wish list. Software development is by one of the largest and most well respected companies in the world. 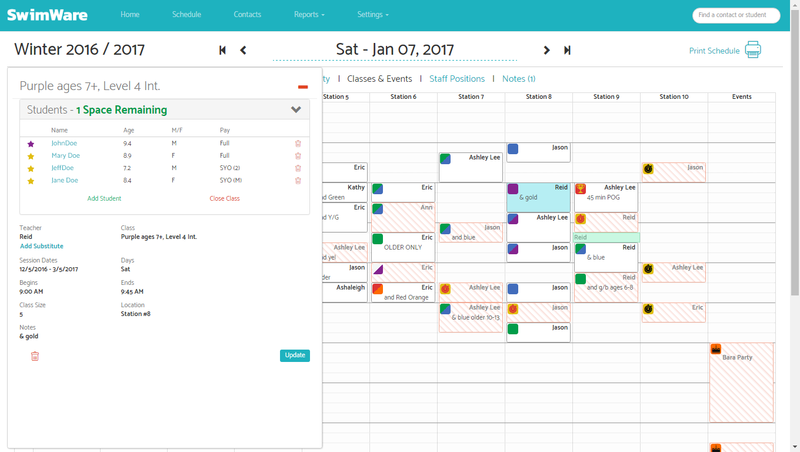 You will be amazed how SwimWare simplifies all aspects of your business and brings you to a new level of success. 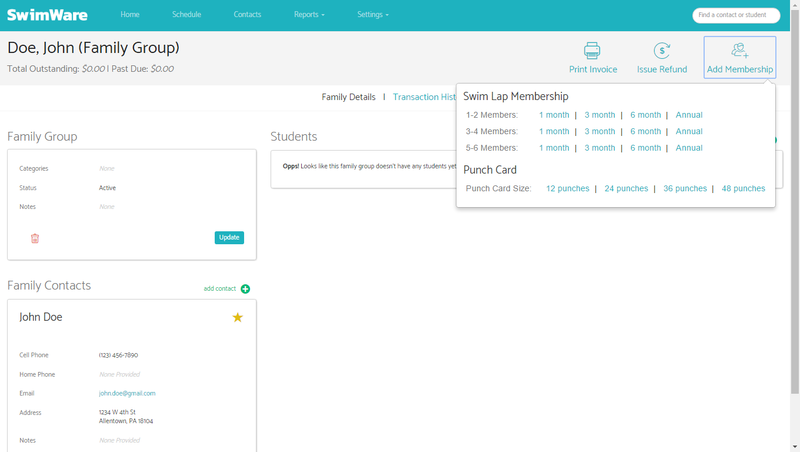 Most user-friendly Swim Lesson program available. 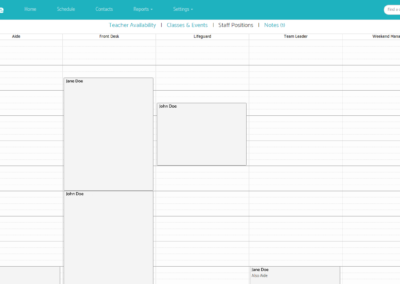 View and schedule classes on one screen. You will be amazed by how simple and easy it is to use. 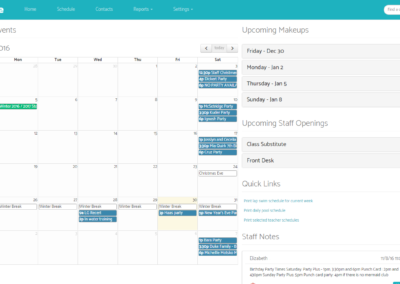 View & schedule lessons and events from one screen. 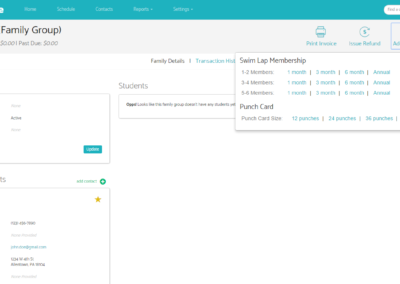 SwimWare was designed by a swim school for swim schools. 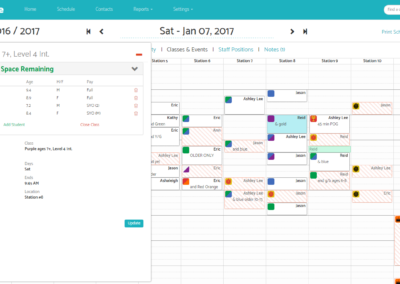 **The demo is set up for session based scheduling, but if you schedule differently, the application may be configured to meet your needs. 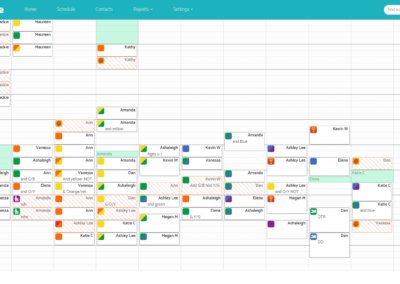 All of this – and it is customizable to YOUR business, because software should never change the way YOU DO business. 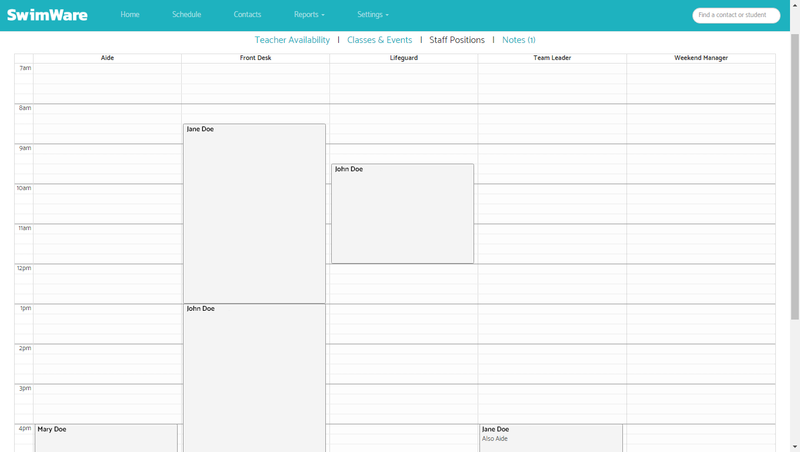 Contact our creators to schedule a demo. Click the chat button to left we will be with you shortly or leave your info and we will contact you. Contact our creators to schedule a demo. Ask for Kevin, Sue or Dana.